XSD Series sand washer is a high-efficiency sand washing equipment adopting wheel-like structure, which works with sand making machine.XSD Series sand washer can wash the stone powder and impurity from the mixed sand that made by sand making machine, which can improve the sand quality.XSD Series sand washer is widely used in washing, grading and dehydrating in the industry of stone factories, construction site and quartz sand in glass factory. 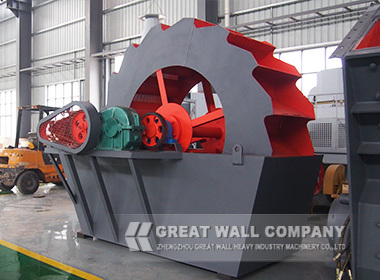 When XSD Series sand washer works , the motor drives the impeller run slowly after being decelerated by v-belt, reducer and gear. The sand enters the wash trough through feeding tank, rolls pushed by the impeller, and rubs mutually to remove the impurities covering on the surface of the sand , at the same time , it breaks the water vapour which favors dewatering; At the same time, the strong water flow takes the impurities away, and discharged from the overfall . The clean sand is taken away by the impellers, when rising, the water drops down to the wash trough from the nets, this can both dewater the sand and save water. Finally, the sand is poured into the discharge chute and finished cleaning. 2. 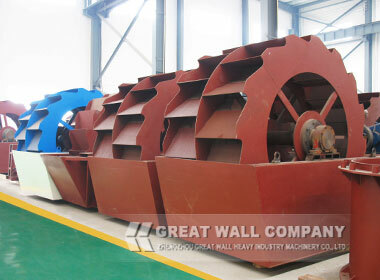 This machine is with long service life and low maintenance costs. 3. 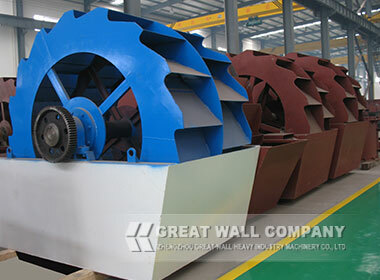 The bearing device of impeller drive is separated from water and materials in water, which greatly protects the bearing from soaking, sand and pollutants. 4. 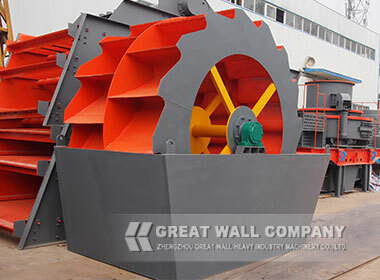 Compared with the spiral sand washing machine, the loss of medium and fine sand and powder is minimized, and the grade and fineness can meet the required standard.